“Once we hit forty, women only have about four taste buds left: one for vodka, one for wine, one for cheese, and one for chocolate,” says author Gina Barreca. Unfortunately, there is truth in her humor: the older we get, the less we can taste. No wonder my in-laws are happy going to the same horrible $9.95/all-you-can-eat diner three times a week. If you can’t taste quality, or simply can’t afford it, then quantity works as a reasonable substitute. Interestingly, though, it’s not just aging that initiates the decline of our sense of taste. Putting on weight also makes taste buds go dull. Most of us start life with about 9000 taste buds that cover the surface of the tongue.1 Each taste bud contains a group of about 100 cells that send taste signals to the brain through nerve pathways. The taste buds are specialized: some discern primarily sweetness, others sour flavors, and so on. The life of a taste bud is only 10-14 days, which means they are constantly regenerating. Early in life, taste buds are great at regenerating within a few weeks when damaged, as when we burn the tongue. As we age, though, the process becomes less efficient, plus, it may be affected by medications. And when the process becomes less efficient, it means that your taste buds are dying off faster than they’re being replaced—thus you have fewer taste buds. The fewer the taste buds, the less sharp our sense of taste. Surprisingly, studies show that excess weight also slows the taste bud regeneration process.2 In mouse research, obese subjects had 25 percent fewer taste buds than normal-weight mice.3 While taste bud cells normally live about 10 days, in heavy mice they died more quickly and took longer to regenerate. The impact of this phenomenon is unfortunate, because with dulled taste buds comes a longing for sweets and fatty foods because they have stronger flavors than healthy foods, making weight-gain self-sustaining. The implications for diet seem obvious: eat high-flavor, low-calorie foods—pickles, for instance (keeping in mind that a single pickle contains about 1300 mg of sodium)—instead of grabbing for the blast of flavor from junk treats. Interestingly, a Cornell University study just published in PLOS Biology found that the reason for the taste bud decline accompanying weight gain has little to do with the excess weight itself, but rather, can be attributed to inflammation associated with obesity. Obese mice that had a genetic mutation that prohibited inflammation had normal taste buds, whereas obese mice with excess inflammation had sharply reduced proliferation of taste buds. The implication is that inflammation may well interfere with the sense of taste in people of any weight, although heavier people do tend to have more systemic inflammation. Dr. Morton perhaps doesn’t realize that there already are avenues for reducing systemic inflammation without waiting for a pharmaceutical solution. You can, for instance, try proteolytic enzymes, and in so doing, gain side benefits such as reduced allergy symptoms and improved cardiovascular health. Other supplements that can help reduce inflammation include antioxidants, resveratrol, curcumin, fish oil, zinc, and alpha lipoic acid. 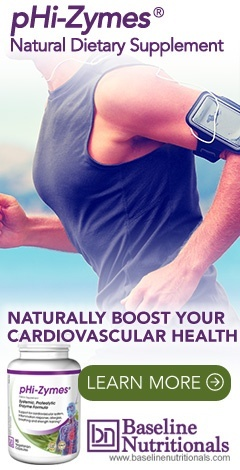 Note that resveratrol and curcumin are both ingredients in the Baseline of Health antioxidant formula. You can also reduce inflammation by supporting your gut with digestive enzymes, probiotics, and regular intestinal detoxification. And of course, there’s always the possibility of losing weight, which apparently does reverse any taste bud compromise that already has occurred. In fact, Hanni uses a system to count taste buds that involves putting blue food coloring on the tongue. Apparently, taste buds remain pink, so they’re easy to count popping out from the blue background. Those people with the most taste buds are what he calls hypersensitive tasters, for whom flavor is so intense that they dislike many foods and drinks. Those folks tend to prefer wines with "delicate flavors, lower alcohol, and often sweetness”—Prosecco? White Zinfandel? Chardonnay? Then, there are the “sensitives,” who have plenty of taste buds, but not as many as the hypersensitives. They often choose wines like merlots, Sauvignon Blanc, and Syrah. Finally, there are the Tolerant tasters, who have fewer taste buds and need a flavor slam. According to Hanni, “More tolerant tasters tend to favor wines with intensity, higher alcohol and more oak aging”—cabernets, pinot noir? They’ll typically choose reds. Want to know what type of taster you are? A simple home test requiring no blue dye and recommended by Professor Linda Bortoshuk of the University of Florida involves getting a hole puncher and punching out two 6 ml holes (don’t panic) in a sheet of paper. Hold the paper to the tongue so that one hole is on each side of it and use a magnifying glass to count papillae. If you come up with 35 or more (both sides combined), you’re a hypersensitive. Ten or more means you’re a sensitive. Under 10 indicates that you’re a dud as a taster, a “tolerant,” probably not enjoying the full spectrum of flavors that your food provides. If you only count four taste buds, stock up on vodka, cheese, red wine and chocolate, and maybe think about going on a diet.